Our three best payment modules at a discount of 3 for 2. Accept paypal commission payments and COD and offers discounts for paying by bank transfer. The best option in payments to avoid losing money now in commissions, rewards your customers to pay in advance. Top 3 payment modules for Prestashop in a pack at an unbeatable price. Buy in pack and save! Adds a percentage of the total purchase (by default 3.4%). Also allows you to add a fixed amount per transaction (default € 0.35). Very Easy to set up, works just adding data merchant API. The commission will be reflected in the invoice on the concept "transmission". 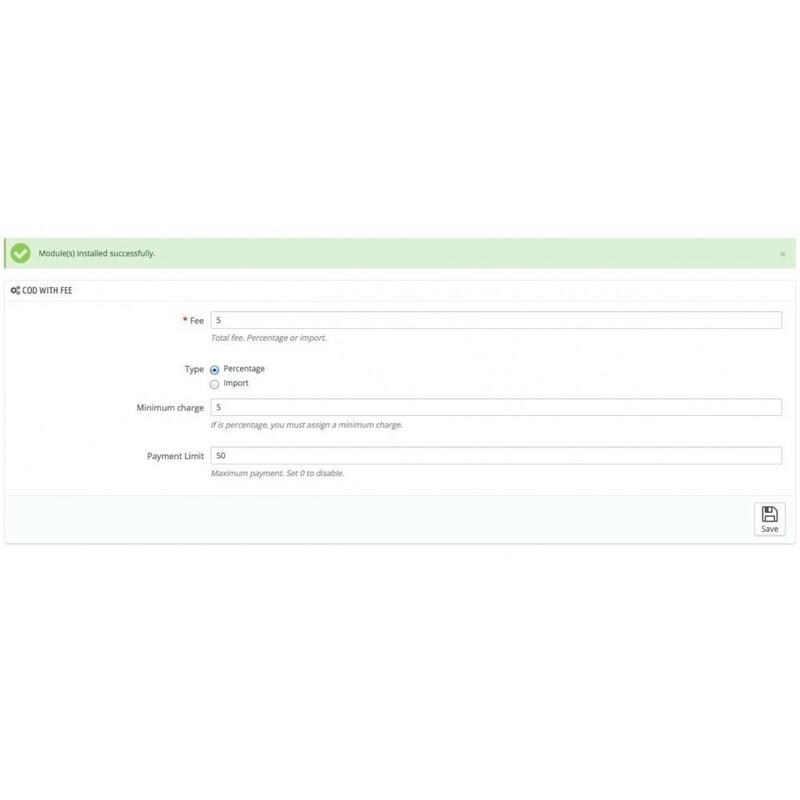 The module allows you to add a maximum beyond which if the customer spend that amount the module is disabled. Allows restrictions by country or group of users from payment option modules. 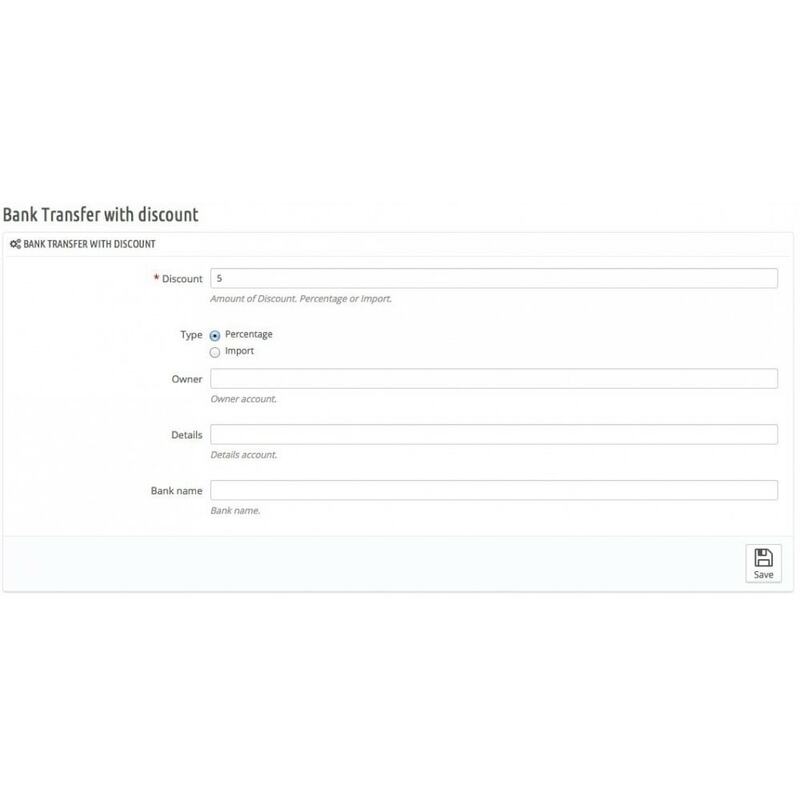 Included in the BACKEND the transaction ID in PAYPAL. 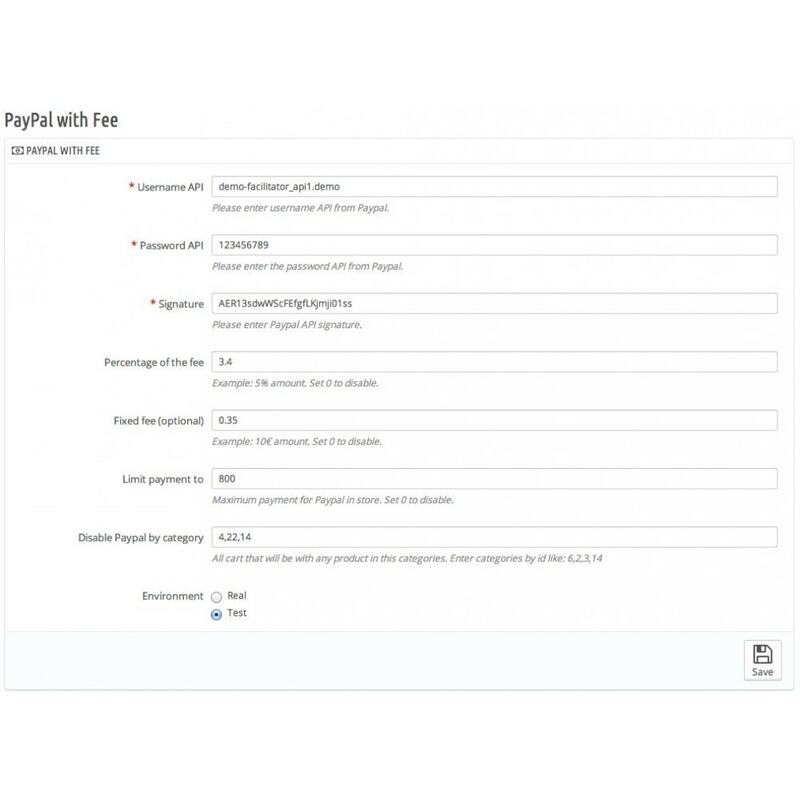 The module allows you to disable the product categories we do not want the customer to pay with paypal. Compatible with bug poddle, works with TLS. Version 2.5 or higher works with the original module PAYPAL. Works with any rule of price or discount vouchers. Add a commission amount or percentage. Adds a maximum reimbursement amount receivable by then the module is disabled. EXCLUSIVE FEATURE. Adapted responsive in version 1.6 of Prestashop. Is broken down payment on the invoice. Restrictions allows countries or groups of customers. Sets a discount in % or fixed amount of total purchase. Send emails requesting payment to customers. Discount is reflected in the bill.